that would not only keep the receiver’s tea organized, but also be a staple accessory which they can use for years to come! set and secure different flavored tea bags into the holder instead of seating name cards. 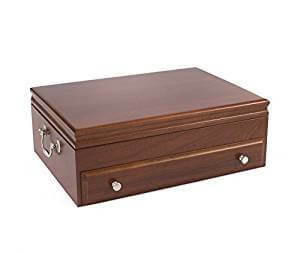 This way, they can enjoy the tea, and keep the card holders to use for future dining occasions. Want to give tea to someone who has not really tried much tea before? Perhaps you are on a budget and you want to make a useful gift for your friends this holiday season. Buying decorative or seasonal thermoses and travel mugs, and then stuffing them with popular tea flavors can be a cute and simple way to gift tea on budget. The great thing about tea is that there are so many flavors and types out there, so you can get creative when deciding on how to gift it!